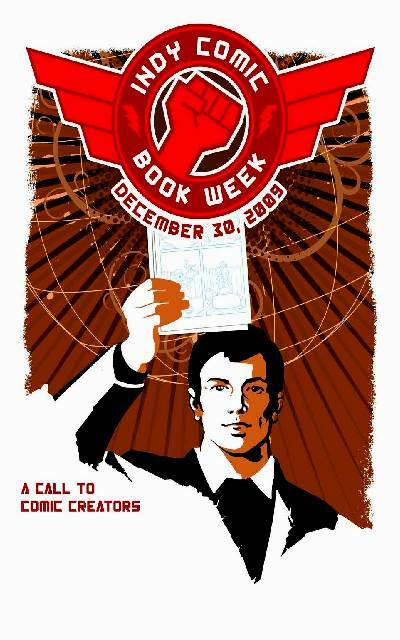 Indy Comic Book Week - Starting December 27th, 2009! 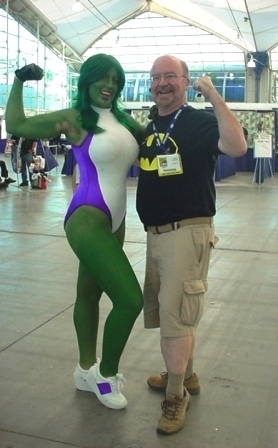 Indy Comic Book Week Starting December 27th, 2009! 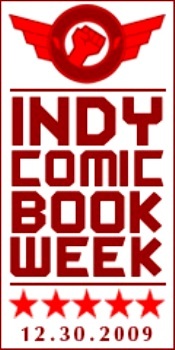 "Indy Comic Book Week is not only an event, but also a call to action. Raise your fist and proudly declare that comic books are more than an industry, more than a handful of corporations – it is a creative outlet for independent-minded artists and storytellers. This last week of 2009 belongs to you. Power to the people. Right on." 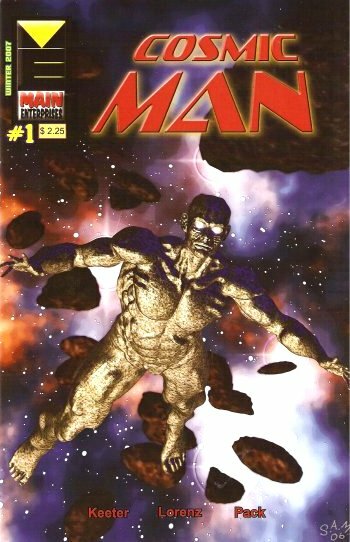 I've been blogging about many indy comic books, both one-shots and mini-series, since beginning this blog back in June of 2006. So I am pleased to see others taking the lead in promoting indy comics at the end of this year! I will be blogging about more indy comics series right here at ComicBookCollectorsBlog.com in the days to come, right into the New Year itself! My thanks to those that informed me of this upcoming event, including Jiba Molei Anderson, so I could blog about it here in my Blog today! Jiba tells me that his newest work: "The Horsemen: Book of Olorun" will be in stores Dec. 30 for Indy Comic Book Week. I am intending on blogging about his latest creation as well as others between now and then! 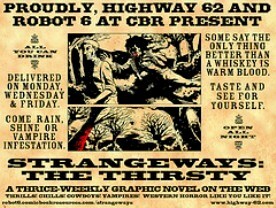 For more info until then, check out his 'Horsemen Graphic Novel Facebook Fan Page'! THE PASSING OF GENE BARRY a.ka. 'Bat Masterson' and other TV / Film Roles: With all that has been going on here... 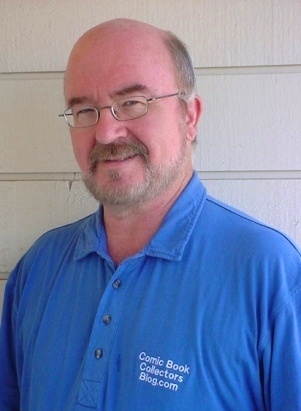 I have not been able to blog about the death of Gene Garry, who passed away on December 9th 2009, until today. Although others might 'know' him better in other roles, it was his role as 'Bat Masterson' on the TV Show that he first became known to me. Yeah, I was at that impressionable age when all those TV Westerns were on during the late 1950's into the early 1960's! 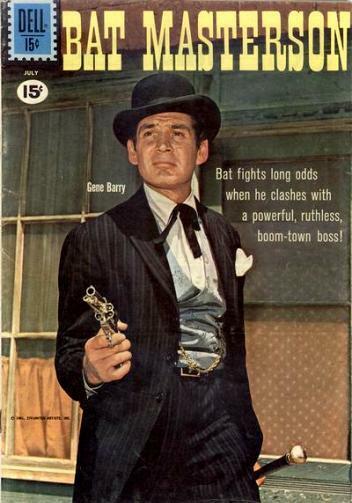 Issue #7 of 'Bat Mastson' from Dell Comics (May-July 1961) is shown below to show you how 'dapper' Gene Barry was in this role! Gene Barry's real name was Eugene Klass, and he was born June 14th, 1919 in New York City. All of his grandparents were Jewish immigrants from Russia. Eugene did what so many others did in his profession. He took a 'stage name', and decided to honour John Barrymore, and thus 'Gene Barry' started his acting career. Again, although I knew him best as 'Bat Masterson', other collectors of his works knew him best in either 'Our Miss Brooks', 'The Name of the Game', or 'Burke's Law'. The earliest work that I am aware of was his role in the 1952 film 'The Atomic City', and hi last work was in the 2005 film 'War of the Worlds'. My condolences to Gene's family members on his passing. There's A 'Crime Wave' Going On! 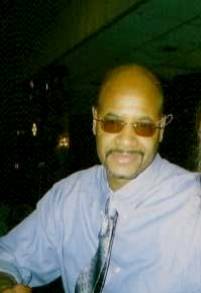 As Reported In These Pages By Carl Herring Jr! Top Right: Front Cover to Crime Wave Anthology Volume 1! 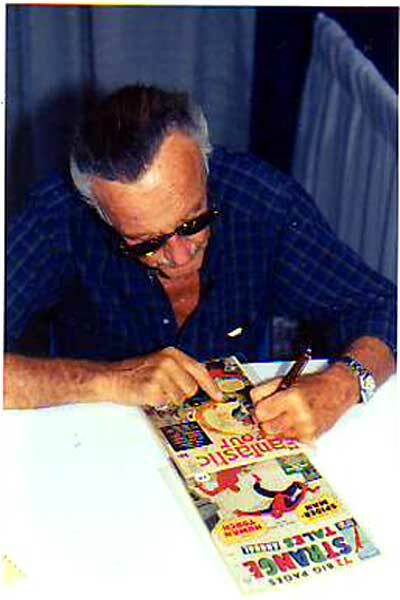 It currently is the first issue in the series, although at the end of this issue, there is a 'to be continued' note. So the front cover pictured above looks really cool... What's the series about?" 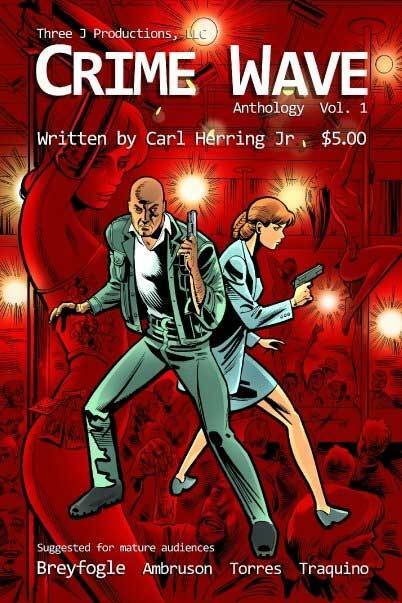 "A bi-annual publication suggested for mature readers, Crime Wave Anthology is a collection of three stories that features the exploits of men and women of law enforcement as they fight all levels of crime to keep our city streets and the country safe. The stories center mainly around the adventures of an FBI duo, Chase and Hunt." Well, It's always 'thrilling' to open up a comic book that turns out to be an anthology, because I never know what to expect! Am I going to be satisified when reading or maybe have mixed emotions about the different stories?! The cover looked really good, and if it was at a LCBS, I would have stopped and checked it out. That is a good point in its' favor, right from the start! I really appreciated seeing the text on the inside front cover. That text emphasized that I would be reading an 'anthology' as I turned the next pages. That was a very good idea, and one Not always used today by the creator(s). The second story also kept my interest. I noticed that there were no ad pages inbetween the first and second stories... nice! The third story ended up being 'To Be Continued'. Okay... well OK until I realized that the second volume of this series may take a while to read. I wasn't aware this series was a bi-annual series until researching to blog here today. Darn! However, the shower scene in the third issue reminded me of the Natasha 'Black Widow' shower scene in the old Daredevil series from years ago... so I'll be back! 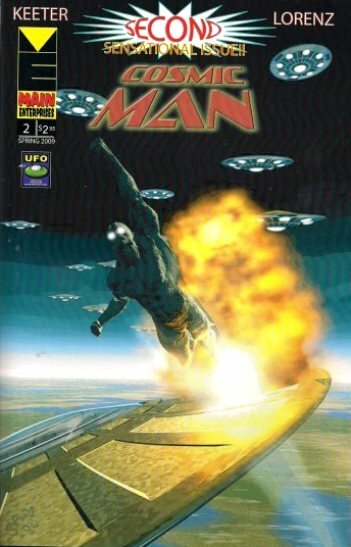 You know... this was a 'fun read', even though it was a 'crime comic'. If it is the intent of Carl to establish a 'brand' using this comic as one corner of the foundation, then he is on the right track with this series in my opinion! 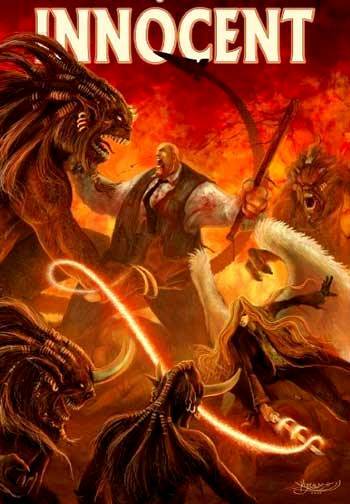 Scott E. Ambruson does the interior artwork on the first two stories. His earlier credits include Trailer Park of Terror #6. The third story is illustrated by Chris Torres whose credits include Robert Sodaro's 'Agent Unknown'. If you thought you recognized the style on the front cover, that was because it was by Norm Breyfogle, who is best known for his Batman artwork! The Creative Director for Three J Productions is Ed Traquino. 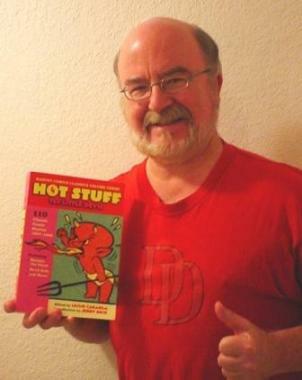 Ed did the lettering, coloring and all the technical aspects of the publication. My thought is that it is the coloring that really makes this issue stand out, both on the front cover and the interior pages. Great work Ed! To me, this first issue is a very good foundation on which to build the series! My thanks to Carl at Three J Productions for sending in the publication for a possible review here in my Blog today! If YOU are a comics or graphic novel creator, and would like to possibly see Your work reviewed here in my Blog, please check this following link, where I tell you: "How To Best Submit YOUR Publication For Possible Review!" NEW MINI-COMICS SERIES: I have already blogged about several of the publications from Main Enterprises that are currently available. One series that I haven't yet blogged about is in keeping with today's 'Main Feature', which is about CRIME COMICS. 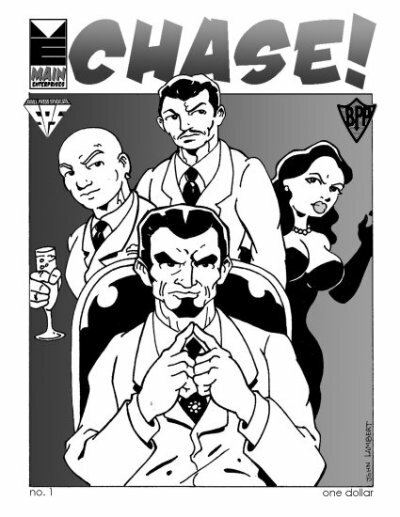 The front cover of issue #1 of 'CHASE' is shown below. 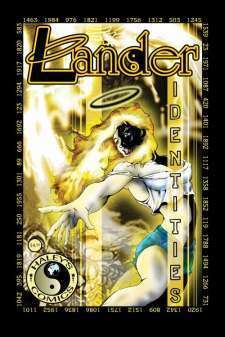 "The first issue of what will be a long mini-comic series, following the exploits of the family of criminal masterminds, the Marsdens and their co-horts. Up against them is the Special Criminal Deterrent Force. Is it an even match? We shall see. Story and concept by Jim Main, art and lettering by John Lambert, production by Dan Taylor. $1.00 plus regular first class stamp for orders in the US only." First, a "mini-comic" is exactly what this comic is! The size is approx 4" wide by 5 1/2" in height. The number of pages have fluctuated, but it truly is a 'mini-comic'. That does NOT mean that you don't get a good read. Just that it is shorter in story length with each issue. The cost is also considerably less than full sized comics printed today. I found the black and white cover and interior pages to be well illustrated. It is well written for a story of action and deceit! There is a lot squeezed into the few pages of each issue, and if this genre of story is your reading niche, you will enjoy it! My thanks to Jim Main @ Main Enterprises for sending in this publication for possible review. (Addendum December 13th- Jim sent me the following message: "the art and story for issue #10 has just been completed and the long awaited issue #8 is being released this week. There will also be a trade paperback edition available early next year that reprint issues 1-8 as well as two full color covers and never before published art." How To Best Submit YOUR Publication For Possible Review! I refer to this because I keep getting asked questions if a creator can send their published work to me, because the publisher of their work doesn't send out 'comp copies' to bloggers or 'other media people'. So instead of repeating myself over and over, I put together this blog post back on December 11th of 2009 to show what I am asking for to help me read and possibly mention or review YOUR work in my Blog. Please Note the use of a 'key word' in the above title of this blog. That 'key word' is "Best". You see, I am sent several publications to review every month. And No, I'm Not complaining! I enjoy reading what comes in, no matter what the genre the publication is in. It keeps me involved in what's being published out there inbetween attending comic book and pop culture conventions, where I am also handed hard copies of publications to possibly review in my Blog. So again... Why This blog post? It's because after reading the received publication and finding that I either want to blog about it in the Blog's "Main Feature" section, that is when I run into 'time management trouble'. That's due to several problems. Which if they are 'problems' to me, they must be a 'problem' to other reviewers, but possibly in different 'difficulty' levels. I'll explain further below. 1) NOTIFICATION: A notification that the publication is being sent to me for possible review. That should be simple enough. But it isn't always. If the publication is being sent via a physical mailing, then a brief letter with the sender's name, email address, physical address, and phone number would be sufficient. Also, please make sure the envelope is sturdy enough for the contents inside. I have seen the periodicals sent in to me go from being 'sandwiched' between two pieces of cardboard inserts for protection and carefully enclosed, to just being literally 'thrown' in the envelope, with the flap barely closed and sent media mail. If the publisher or creator thinks that 'little' of their publication being sent in... what should I think of receiving a package in such a manner? First impressions do count! 2) HOW TO PURCHASE: A note as to where the publication can be purchased by readers of my Blog. An url address link to an online site would be sufficient. If I don't know where You want me to send my blog readers to, I'll have to 'guess' if I can't contact you. If it is self-published, and only sold via mail order, then please state so! If it is sold via LCBS using Diamond then let me know that. If it will be found shortly on Indy Planet, or other indy sites, that is fine also. Just communicate that to me. Plus if you've been reading this Blog for a while, you'll notice that I blog more about indy publications than I do 'mainstream' publications. That's basically because those get more 'publicity' anyways from other reviewers. I'm open to publications in genres that don't get all the attention! 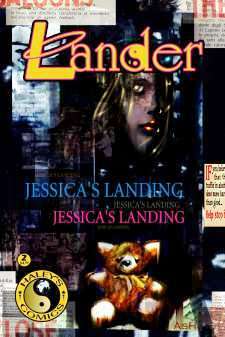 3) PUBLICATION PHOTO: A .jpeg or .gif for the periodical that has been sent in for possible review. It does NOT need to be a 'print' quality photo, as I am reducing the 'size' of the photos anyways, usually no larger than 400 pixels wide to 555+ pixels in height. Usually I'll Photoshop the picture to move the 'k' size down to less than '75 k' in size for quicker page loading. 4) CREATOR PHOTO: A .jpeg or .gif of the main creator(s) of the publication. 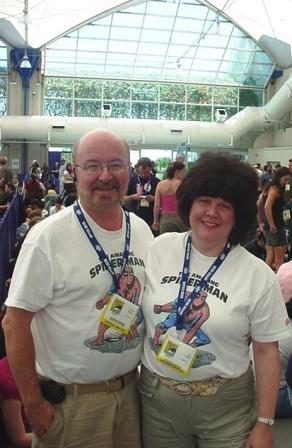 You would NOT believe how hard it is to find a photo online of many creators. Yes, I'm sure that a lot of creators would like to think that their works speak for themselves, but even Steve Ditko has a few photos online from 1950's that a reviewer could draw from! Note to Creators: 'Branding' is very important in marketing your publication. I read other genres that I normally wouldn't because the creator(s) have 'branded' themselves as being good in another genre or media, thus leading me to 'try out' their endeavors in a different field! 5) PRESS RELEASE: A 'press release' or a promo piece about what your publication is about. Not a 'review' from another reviewer, but what the creator(s) think is what they had published. It would best if this is already online somewhere to send me a 'link' to that page. Thus I could just 'copy and paste' that press release. 6) CREATOR BIO: At times a short 'bio' about the creator would be appreciated, especially if the publication is basically written / illustrated / inked / lettered / etc. by that one creator. That would give that creator a little more 'exposure' or 'branding' as to who they are, what background they have, and why they are involved in this project. I have on occasion also blogged a special series called "Spotlight On..." persons that may or not be directly involved in comics or cartooning, but are in other pop culture fields. Note: If You are on a Social Network, such as Facebook, please let me know that. Also if you have a 'Facebook Fan Page' or 'Facebook Group Page' that I could refer my blog readers to as well. Quite often my blogs or wall posts will go 'viral' which could lead to your Fan or Group Page obtaining more 'fans' or 'members'! The above half-dozen requests would save myself time, as well as for so many other reviewers that could be interested in Your publication! It is still a wonder to me that so many creators don't 'market' themselves to bloggers or other reviewers with the basic information that is needed to present the publication and the creators in the best possible light. Again, presentation is important when sending the publication(s) out. The first thing the reviewer see is the package the contents arrive in. Giving the reviewer the necessary background as to the project's origins is helpful. Also any 'press' or 'promotional' pieces is always appreciated. And of course, if You already have a web site with the photos of the publication(s) AND yourself, you are so much easier to blog about and refer blog readers to! So there You have it! What I as a reviewer need to be able to blog about Your periodical here. I hope it helps! I definitely don't want to 'scare' anyone off, but it has taken some time to retrieve the necessary six components to properly blog a review here on several publications that were sent in or given to me. c/o Make It So Marketing Inc.
Two: Because EACH one of my blogs takes at LEAST an HOUR to produce, minimum, I only blog on works that I personally like, or that I find unique enough to stand out from the others that would be on the shelves at a LCBS. Three: Continually emailing me or messaging myself as to why I haven't mentioned or blogged about your work yet, like is currently being done this week by a party who will remained unnamed here, does NOT get your work mentioned any faster, and if continued will be taken off the possible mention or review candidates list. To end on a Postive Note...My thanks to All of those that have taken the time to either send a printed copy in via mail or given me a copy of their publication at a comic / pop culture convention this Year. I look forward to receiving more publications from those reading this blog post, that are motivated enough to send in their publications for possible review! Back on December 2nd, this blog's 'Main Feature' was on what items to avoid giving as a holiday present to business associates. Well, I asked then, what about those business associates that you work with on a regular basis and personally know very well, and that you would like to introduce them to the reading genres that you enjoy? The Path, Hot Stuff - The Little Devil from Harvey Comics - a TPB from Dark Horse! (TPB), T Runt (Childrens illustrated book)! The 40th Anniversary Comic Con Souvenir Book!